The Uncanny X-Men (1989) - NewRetroWave - Stay Retro! | Live The 80's Dream! With X-Men: Apocalypse headed to theaters later this month to continue the most prolific franchise in superhero cinema, now seems to be a good time to look back at the history of the X-Men heroes in gaming. As one of the most consistently popular strains of superhero comics, X-Men stories have actually inspired gaming releases for decades, beginning with a series of early console and arcade titles. The releases continue to today, and in fact come out on so many different gaming platforms that one can’t help but be impressed by the popularity of X-Men games. For instance, Gigataur Corp‘s collection of app games grew to include Uncanny X-Men: Days Of Future Past just last fall. It’s a take on some older X-Men arcade games with a storyline that loosely mimics the most recent X-Men film X-Men: Days Of Future Past, and offers a wide range of relevant characters for players to embody. The X-Men have also gained a place in online casino gaming over the years, in the form of a few different but similar titles. Gambling.com’s page on these games shows a collection of nine X-Men characters on one title’s covers, and describes the game in which these characters essentially take over a slot reel. There are a few fun bonus features but the main thrill is simply playing a slot machine that’s been transformed into an X-Men exhibition. Examples like these demonstrate how X-Men gaming has moved into new formats, to say nothing of the characters’ continued appearances in console games. But the point here is that none of these games would exist had it not been for the popularity and excellence of some of the earlier titles, which now fit neatly into the retro category. And the first of those titles is still one of the best. The original Uncanny X-Men was developed for NES by the LJN gaming company. LJN gets a lot of criticism in retrospect, despite being succeeded by Acclaim Entertainment (which put out some pretty popular titles). But The Uncanny X-Men was a pretty fun arcade experience for its time. It was essentially a vertically scrolling dungeon crawler that instead of using an invented fantasy realm or batch of characters used the X-Men. 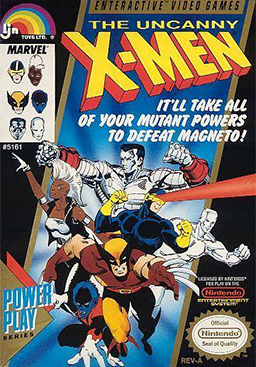 Players could choose to control any one of six X-Men heroes: Wolverine, Cyclops, Storm, Nightcrawler, Colossus, and Iceman. 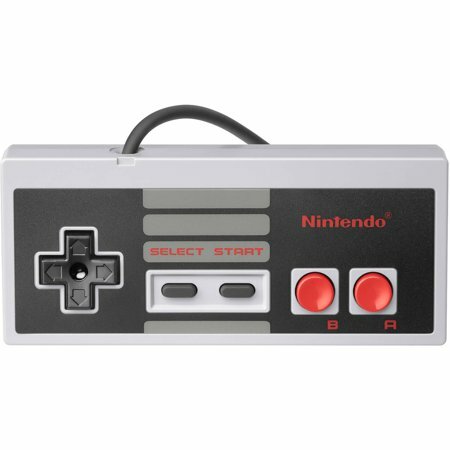 Two-player co-op play was also an option (given the two controllers on the NES), but even if you played solo there would be an AI partner fighting through levels alongside you. The goal of the game was simply to battle through dungeon-like levels full of villainous creatures and other obstacles, ultimately making your way to a boss villain. There were five levels and five accompanying villains: Boomerang, Sabretooth, Juggernaut, The White Queen, and Magneto. Additionally, once the regular game was beaten, players could enter a special sequence on the control pad to access a sixth level in which Magneto was again the boss. Like many impactful retro games, it now seems dated, and in particular the animations of characters are a bit of a letdown. 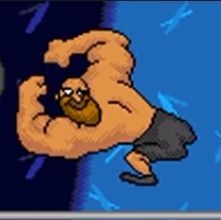 Though the game provides each hero with an individual set of attacks (including a special that could only be used so often), the images of the characters didn’t do a whole lot to bring them to life. Still, as an old arcade dungeon crawler it was an enjoyable game packed with fun challenges and a variety of satisfying boss fights. And its legacy as the first major X-Men game to get off the ground looks more significant with each passing year.